When it comes to re-registering your RTO each year, do you traditionally take a reactive or proactive approach? If you only start thinking about compliance a couple of months before your ASQA audit is due, you are definitely doing it the hard way. And in the current dynamic VET sector environment with constant revision of RTO audit regulations for compliance, your RTO is in danger of being left behind. If your RTO is getting the same business results each year – maintaining student numbers (just) but with no growth potential on the horizon – it’s probably a great time to change tactics. That’s why a proactive approach to risk management, with a strong focus on quality assurance and positive compliance, will not only help you stand out in the crowded Australian VET sector – it will help your RTO start its journey towards scaling for success. We believe there’s a whole new paradigm of risk management being introduced into the regulation of the Australian VET sector based on ASQA’s new student-centred audit approach, and it’s ripe for opportunity for clever, business-focused and ethical private education operators to incorporate and leverage these developments to turn risk into incredible value. While there will be earth-shattering implications for RTOs who are unable to comply with the new ASQA audit standards, we also strongly believe that there will be groundbreaking implications for the RTOs that are willing to get it right, exceed expectations, and take their business to a whole new level. 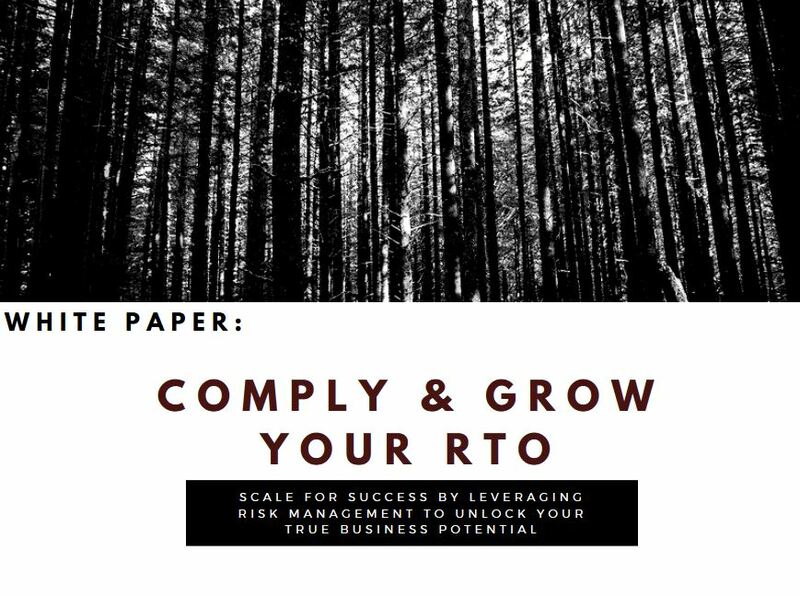 If you’re interested in finding out more about our Comply & Grow Your RTO program, download our [free] industry white paper.